Typically, when diligent and conscientious candidates prepare for interviews, they tend to focus on preparing specific answers to specific competency-based questions. This approach is fine, and I wouldn’t discourage it at all, but I would also urge you to consider the different personalities that you may meet in the interview room, as each of these different characters may be looking for subtly different responses from you. It’s vital that you understand what the different expectations are of each of these interview room characters and prepare to deliver the most effective and individually tailored responses. 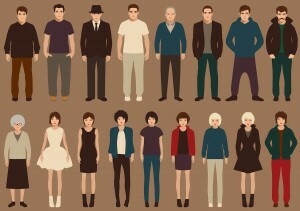 To help you do this, I have outlined several common interview room personalities and how to deal with each one below. Now, I hear you: “That’s cheating! The receptionist doesn’t go into the interview room!” However, that doesn’t mean the receptionist won’t have a say in assessing your suitability. Increasingly, it seems that employers are seeking the opinions of their receptionists about interviewees, as shown in this Forbes article. Make sure to warmly greet the receptionist, speak to them as an equal, inquire about their day if appropriate, listen to what they say, and try to strike up a rapport. Thank them for any help they give you when you are escorted to interview and/or just before you leave. Yes, don’t be surprised if a CEO walks into the interview room to start questioning you, because a CareerBuilder survey found that 38 percent of employers reported that interviewees need to interview with a C-level executive in their business. What do CEOs look for? They won’t be able to micromanage the interview and assess core skills, but they will most likely be looking to see if you share the values, strategic vision, and work ethic of the business. Research these areas and show awareness of company values when responding to CEOs. Demonstrate that you are tuned in to these company values. Typically, CEOs are battle-hardened individuals and like to see people who have faced a challenge and overcome it. They also like to see people who have learned from their mistakes, as it shows they are resolute. Agency recruiters are generally risk averse and favor candidates with resumes that fit exactly, without anomalies, and which are an easy sell over the phone or email. Spend time showing how you tick all the boxes and outline your key differentiators, and prepare succinct counter arguments ahead of time to challenge any weaknesses the recruiter may mention. Make yourself an easy sell. Also, agency recruiters don’t want to put forward unreliable candidates, so you’ll need to show you are certain about your career, this job, and this company. Show them you are a a good bet. You can further cozy up to an agency recruiter if you let them know you are prepared to tap your network for other similarly qualified candidates. In-house corporate recruiters share many similarities with agency recruiters, and their deeper knowledge of the organizations gives them more discretionary power to refer wildcard candidates who don’t meet all the requirements, provided they excel in other areas. If you are facing objections or doubts concerning your application, you probably have a better chance of persuading a corporate recruiter than an agency recruiter that you are worth referring to next interview, provided you can make a strong case. If you found these tips useful, please look out for part two of this article, which will follow shortly.